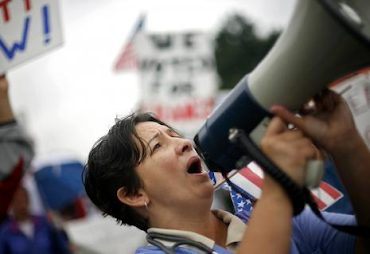 Supporters of Health Care Reform Rally in Cities Across America. 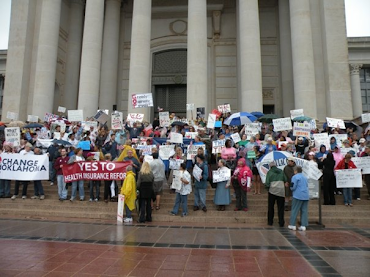 Change Oklahoma joins with National Supporters of Health Care Reform. OKLAHOMA CITY, OK - September 3, 2009 - Oklahoma supporters of Health Care Reform will meet at eleven o'clock on Sunday morning, September 13, 2009 at the Stiles "Beacon of Hope" Park located at NE 8th and Stiles Boulevard in Oklahoma City. The march will be one of many held nationally, as part of a day of marches and rallies to be held in support of President Obama's health care initiatives and a Public Option. All supporters are encouraged to attend. Participants will meet early Sunday at the Stiles "Beacon of Hope" Park walking east on Northeast 8th Street, and then North on Lincoln Boulevard until they rally at the South Plaza Steps of the Oklahoma State Capitol Building. Once at the Capitol, several speakers will discuss the importance of health care reform, including a Public Option. Miguel Medrano, a supporter of Health Care Reform and an organizer of the event said of the event, "There has been some uncertainty about health care reform, some caused by confusion, some by lies. Still, one thing remains; and this is clear, nearly 50 million Americans are without Health Care. "No" is not an acceptable answer. American businesses are suffering, the economy is suffering, and most importantly people are suffering. The time for health care reform is now. We cannot wait."